Truck rentals are for when you need a truck with no time commitment. Like a lease truck, we will buy the truck and fix the truck – only you can return the truck at any time. The only “downside” is simply the cost of a rental is more than the cost of a lease. If you’re going to keep a truck for any extended period of time, a lease will prove to be a much better value. Most companies use rental trucks to cover their busy seasons and project type assignments, ranging anywhere from days to months. How can BTR make rentals easier for you? 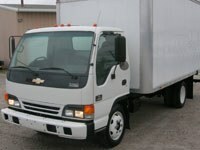 Older Truck, Lower Price – We do mainain a fleet of older trucks for the more price concious customer. Perhaps you don’t travel hundreds of miles a week and don’t need a new truck. Our Value Rentals still have excellent drivability and reliability. Any truck older than 5 years is considered a Value Rental and is automatically priced 15% below our newer rental trucks. What Kind of Trucks Can You Rent? Our rental fleet consists of the most commonly used configurations. 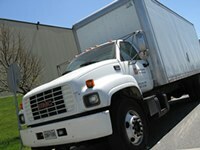 Each location maintains a fleet of cargo vans, cube trucks, and straight trucks. All trucks have automatic transmissions. 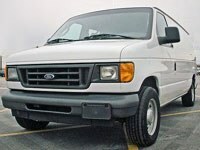 Cargo vans use gas; cube and straight trucks use diesel fuel. All straight trucks have lift gates. Cube trucks have 14-16′ bodies; straight trucks have 24-26′ bodies. BTR also maintains more “specialty” vehicles at key staging locations. We will be happy to transfer these vehicles to the location of your choice with just a little bit of notice.